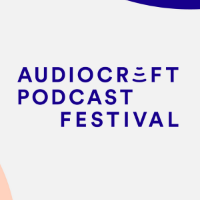 Want to hear the work of some of the incredible podcasters and audio makers from Australia and around the world coming to Sydney for Audiocraft Podcast Festival, May 31 - June 2? This is your listening prep list. Womenswear is littered with fake pockets that don’t open, or shallow pockets that can hardly hold more than a paperclip. If women’s clothes have pockets at all, they are often smaller and just fit less than men’s pockets do. And when we talk about pockets, we are talking about who has access to the tools they need. Who can walk through the world comfortably and securely? Articles of Interest is a show about what we wear, created by Avery Trufelman; a six-part series within* 99% Invisible*, looking at clothing. When you’re watching a fantasy or science fiction show, and the characters are speaking a language that does not exist in this world but sounds like it could - that doesn’t happen by accident, or improvisation. A lot - a LOT! - of work goes into inventing new languages that sound real. Conlanger David Peterson talks about how he created languages for HBO’s Game of Thrones. Find out more about this episode at theallusionist.org/verisimilitude. The Allusionist's online home is theallusionist.org. Stay in touch at twitter.com/allusionistshow and facebook.com/allusionistshow. The Allusionist is a proud member of Radiotopia from PRX, a collective of the finest podcasts on the interwaves. Find them all at radiotopia.fm. In March 2019, the Allusionist is sponsored by: • Squarespace, your one-stop shop for creating and running a good-looking and well-working website. Go to squarespace.com/allusion for a free trial, and use the code ALLUSION to get 10% off your first purchase of a website or domain. • Babbel, the no.1 selling language-learning app in the world. Try it for free at babbel.com or download the Babbel app. • The Proprioceptive Writing Center. Find out about the upcoming West Coast USA courses in this meditative writing practice at pwriting.org. • Molekule, a complete reinvention of the air purifier. For $75 off your first order, use the discount code ALLUSIONIST at the checkout at molekule.com. This Mini Episode takes on one of our biggest questions yet: are memes a great vehicle for creativity, or just garbage? Leah Jing joins the team to find the answer. We’d love to hear from you! If you have a question you’d like to submit to our Arrogant Aunt segment, send it to sisteriapodcast@gmail.com. Ep.6 - Faustina Agolley Where're you from? S1E1 - "The Key to Humanity's Future"
Virat grabs some choice weapons before he heads off to the Iyer and Sons Depot. Naresh and Ramesh Iyer are spooked by the news report on Ranjha Seth's murder. Jodee Mundy is the only person in her family who can hear. Ever since she was little, she has moved between two worlds. Artist Joseph Michael and a team of eight film-makers head to Antarctica on a yacht, to record the sights and sounds of icebergs. In the eighth episode of People Movers I travel to Wollongong to meet someone who loves escalators even more than me. ------------------------------- The music in this episode was provided by Tim & Dave of Umbra: https://www.facebook.com/umbraduo/ Additional music: ‘Hold Music’ by Steve Combs via Free Music Archive & ‘isn’t the rain nice today?’ By bbatv via Free Music Archive. The logo was provided by Greta Larkins: http://fashgif.tumblr.com/ Follow People Movers on Instagram: @peoplemoverspodcast Follow me on Twitter: @LindsJGreen Find more information, photos & transcripts at www.peoplemoverspodcast.com. Where do jelly babies come from?Mass-produced things are all around us. But they all start with a single object. In this episode, Olivia goes looking for the patternmakers, whose invisible hands are the original creators of much of the stuff we use every day. They see a world no-one else can see. So why are they disappearing? And what will we lose when they are gone? You've heard of online trolls, but what happens when they share your private data, like your contact details, with malicious intent? ABC Life’s Osman Faruqi found out the hard way. Last August, a far-right activist posted his phone number on social media. Osman was inundated with racist text messages and phone calls that continue to this day. In this episode, which is a co-production with ABC Life, Osman confronts the man responsible. And with the help of reporter Alex Mann, he investigates why law enforcement is seemingly powerless to protect victims. Let’s talk about the things that we love, which might initially seem strange to other people. We also ask a cat if he enjoys going for walks. — ‘Something you love’ by Joseph Ware Watches, etymology, rejuvenating old furniture, the music of Felix Mendelssohn…four people talk about something they love that others might not. Music: Sinfonia no. 10 in b minor, I. Adagio – Allegro performed by the Australian Chamber Orchestra, String Octet in E flat major, op. 20, I. Allegro moderato ma con fuoco performed by Academy Chamber Ensemble, String Quartet no. 2 in a minor, op.13, II. Adagio non lento performed by Quatuor Ébène, String Quartet no. 6 in f minor, op.68, IV. Finale: Allegro molto performed by Quatuor Ébène. Supervising Producer: Tegan Nicholls with help from Allison Chan — ‘I walk my cat’ by Angela Moran Ever seen someone walking their cat and thought it was weird? Angela Moran loves walking her cat, Jason. She shares her experiences from out in the field. Music: So Long by Norma Rockwell, Gisele Revisited by South London HiFi, Prizefighter by Norma Rockwell, Da Jazz Blues by Doug Maxwell/Media Rights Productions, Glen Canyon by Dan Lebowitz. Supervising Producer: Bec Fary — All The Best credits: Executive Producer: Allison Chan Victorian State Coordinator: Bec Fary Host: Samantha Groth Episode Compiler: Tegan Nicholls SYN Community Coordinator: Jordan Fennell Community Coordinator: Chloe Gillespie Social Media Producer: Matilda Fay Image: Unsplash CC: Roman Kraft Music: In Order To Love by Gussy The post #1811 Right Up My Street appeared first on All The Best. Obese! what a scary word! Belinda Peisley's life descended into chaos after her 18th birthday when she received a big inheritance and bought her own place in Katoomba. Her family hoped the house would set her up for life but, instead, her new address became a magnet for a world of drugs and crowd of people who’d turn up at all hours. Six months later, Belinda disappeared. In the months before she vanished, Belinda told her family she was scared — even that she wanted to change her identity and leave town — but they couldn’t imagine why anyone would want to hurt her. Join reporter Gina McKeon as she travels to Katoomba to begin to understand what happened to Belinda Peisley. An ex-criminal who walked the line between warring gangs before being wrongly imprisoned talks openly to Adam Shand He reveals how he survived in and out of jail and why helping others fight for freedom was so important even though Carl Williams was framing him for murder. Part 1. Framed - An underworld figure gets 13 years jail for a crime he says he didn’t commit. He uses the time to help others fight for justice.